I'm selling brand new wholesale bags of pre-cut fiberglass insulation batts. I'm also selling the high density and cathedral R-values. I am selling for 15% to 20% less than the big box stores. I have delivery available from my warehouse in Oklahoma City and surrounding area for $50 depending on the size of the order. 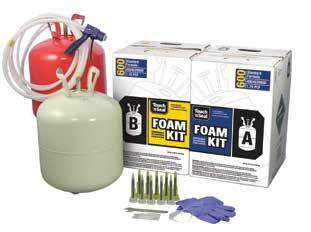 I am also selling brand new Touch N' Seal brand spray foam kits. And the 600 sq ft kit for $650.00 or less. 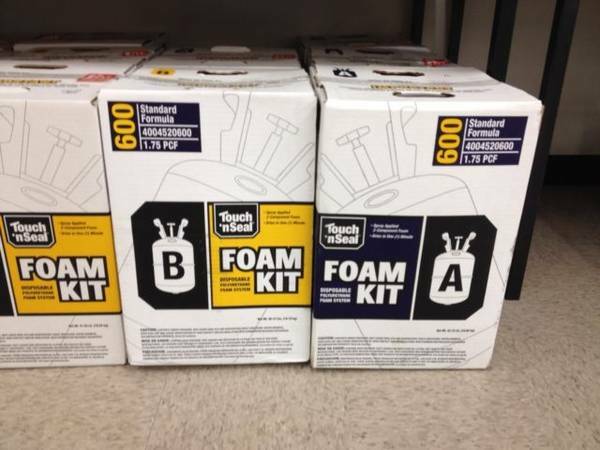 Home Depot and Lowes sell these kits for $349 and $740 or more. Kit includes pair of gloves, 15 foot of hose, 10 replacement nozzles, a wrench to open up the propellant, and the gun applicator as seen in the picture I've added.